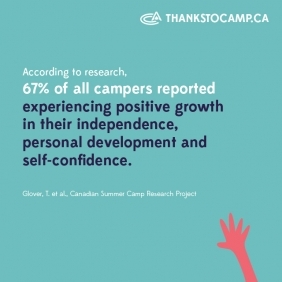 Preparing your child for summer camp is part of the overall camp experience – so we encourage you to take the time necessary with your camper. A great pre-camp event for our new and excited or curious campers. We invite campers and their families to join us on June 15th, 2019 from 11:00 am to 3:00 pm for a camp tour. The visit includes a BBQ lunch, personal camp orientation, fun games, and camp activities. All families that wish to attend the Spring Open House will need to pre-register for this fun and informative day. Complete form below to register. Before arriving at camp for the summer, we recommend that take a look at the Activities Pages on this website with your child, and review details on which age groups they are suitable for, clothing/gear requirements and the equipment provided by camp. In combination with each of the specific camp programs offered, each camper will choose with their registration their top two activities that they would like to participate in daily while at camp. All activity choices will be finalized once your child is at camp. This gives your camper the opportunity to change their choice based on weather, scheduling conflicts, friend’s choices, instructors, etc. If your camper is bringing hockey equipment, please ensure all items are properly labelled, fit correctly and that hockey skates are sharpened. The camp has a lost and found system. Most lost and found items are not recognized by campers as their own, so labelling is important. Parents have an opportunity to look over any lost and found gathered from the week during Saturday Check Out. Camp is not responsible for making arrangements to ship back any lost items found after camper's session. What to do in the case of bullying or homesickness (stress open communication with counsellors). We can't fix an issue if we are not aware of it. All personal belongings, clothing and equipment should be clearly labelled with your child’s name. There are certain things that are not allowed at camp, including cell phones, expensive electronic equipment and food products with nuts. HOC is not responsible for lost or stolen items brought to camp. We ask that you have a discussion with your child and make sure that he/she understands HOC Camper Guidelines before arriving at camp. We recommend that your child helps pack their gear and clothing so that he/she is aware of what is being brought and what they are expected to pack to bring back home. For a complete packing list, please read your camper(s) program specific HOC Handbook. For an organized packing experience visit our Cubby Cubes 2017 page for some camp durable packing bags. Please Select Your Preferred Time Slot. Please complete the information below for all additional members of your family who will be attending. YOU DO NOT NEED TO ADD FAMILY CONTACT NAME (LISTED ABOVE) TO LIST BELOW.